Well done to all the children that competed in the Crookstown Millview Athletics events on the 14th June. 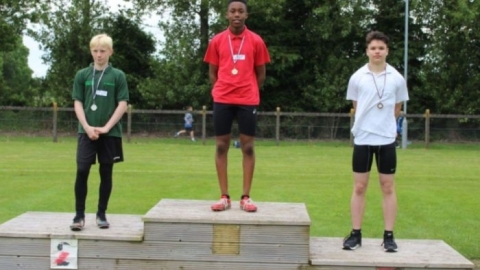 Congratulations to David Oghuvbu who came first in the 100m sprint and to Tibor Kis who came 3rd in the same event. Also congratulations to the 5th and 6th class boys who came 2nd in the relay.